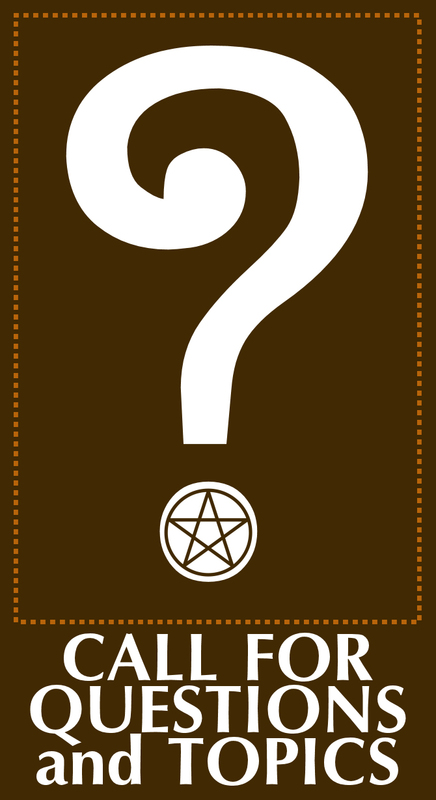 Witchy Words: Call for Questions and Topics: Results and Last Chance! Call for Questions and Topics: Results and Last Chance! It's been some time since my Call for Topics post, in which I discussed wanting to establish a set schedule for posts here on Witchy Words. You spoke and were heard! Here is the semi-official schedule for Witchy Words as of April 1st, 2014! The following topics are biweekly, in that I will be posting every other week on that topic. Discussions on my day-to-day life as a pagan witch. All about Futhark runes, including magick and divination. Details about how my current Circle came about, including basic circle forming, ritual primers and our Circle Meets. My standard infographics of full moon correspondences and goals. One week before the full moon on a day not already scheduled. Photographs of my altar for the upcoming sabbat, including a detailed visual explanation. One week before the sabbat on a day not already scheduled. A summary of our sabbat ritual, including photographs. The Sunday closest to the sabbat (this may be before or after a sabbat date). This also includes Lushede Grove public rituals. The Sunday closest to the Lushede Grove ritual without overlapping. Again, I consider this schedule semi-official, so you still have time to weigh in! What topics or questions would you like to see me write about? You could even suggest topics that fall under certain segments. In fact, here's a short list of some of the topics you can expect to see in the upcoming months, including some suggestions from the previous post! A tour of my home, including pagan and non-pagan things, dispelling the idea that witches use all black and gothic decor. How to write a ritual. My first experiences and actions while still learning. How to form a circle (answered in a series of Circle Saturday post). Is there anything else you would like to see me write on? Thank you for your suggestion! I'll definitely be sure to include that. Frugal tips may either be presented during Tip Tuesdays or Witchy Wednesdays, but either way, I'll make a point to post on it regularly.